Tagged with edtech, OECD, Trends Report 2019. 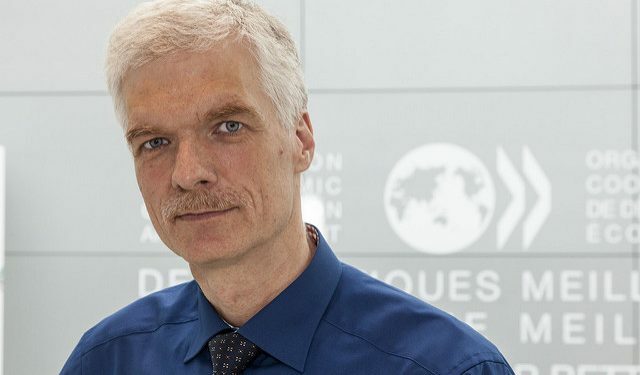 The new edition of the OECD’s Trends Shaping Education report was presented at the Education World Forum by the organisation’s education director Andreas Schleicher, who suggested that many global changes face the international education sector, but they do not need to be negative. The global population is changing, and crucially for the international education sector, becoming more globally mobile. The OECD also notes that older populations create an opportunity for educators, due to the “silver market” created for life-long learning. China has quadrupled its share of global GDP over 25 years, while the US has declined – and even been overtaken by its current “trade war” opponents. Along with economic shifts, people are moving at an increased rate, the report states. Although this has led to a “more global market in higher education”, it has also encouraged more diverse classrooms which “brings new challenges”. But “education has an important role to play in equipping students with the skills needed for a global future,” the OECD added. “The geographical distribution of middle class consumption is changing. This growth is largely driven by China and India, where new entrants into the middle class use their rise in purchasing power to buy new commodities,” the OECD also noted. This reflects the increased buying power in those emerging economies, which has seen a boom in private education, and digital skills. This digital prowess is reflected in the global increase in AI-related patents – which has risen from under 2,000 in 1990 to nearly 20,000 in 2015. But speaking at the EWF, Schleicher posed significant questions for the edtech industry, which is holding its flagship event, the BETT show, in London. Although online learning and online degree provision accelerated in 2018, Schleicher lamented low completion rates and a lack of effectual use of tech and data in the classroom. “[Online learning] completion rates are still quite poor. For the future we need to think much more closely, how does online learning fit into learning? How do different approaches to learning complement [each other],” he told The PIE News. The director suggested that both investment and a narrower focus on what tech can be used for in education would improve the situation. “The health sector spends 17 times as much on innovation and technology as education,” he explained. “We have a heavy, monolithic approach to education. We’re trying to do what we already do with teaching just a little more efficiently with technology. We’re not yet looking at the type of complement technology can be to 21st century learning,” he added. In what may amount to a blow for digital language teaching firms, Schleicher noted one concrete takeaway from OECD research was that junior learners should not be taught online or via screens. “There is evidence [that when] small children learn Chinese from a Chinese speaker, the children pick the language up very quickly. Then they replicated exactly that same course, with high-end digital equipment. And the children watched with great interest but the learning gains were zero,” he explained. Another trend in global education has been the focus on happiness and wellbeing, with this topic taking centre stage at the recent OBHE Global Forum in the UAE, where an entire ministry is dedicated to improving citizens’ mental health. Schleicher recognised the importance of wellbeing among student bodies, but highlighted that the nations performing well on PISA and other OECD measures of wellbeing were not those in the Gulf. “Countries like Estonia, the Netherlands, Finland, Canada [are] coming up quite well, both on the achievement side and the wellbeing side. [This is] also telling us this is not two opposing ends on a spectrum. It’s really about how you integrate student wellbeing with effective student learning,” he told The PIE.